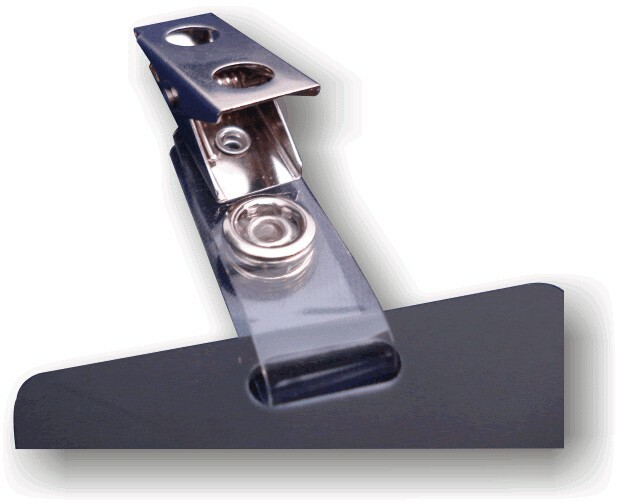 These name badge clip straps are super strong, and attach easily to a badge that is already hole punched. 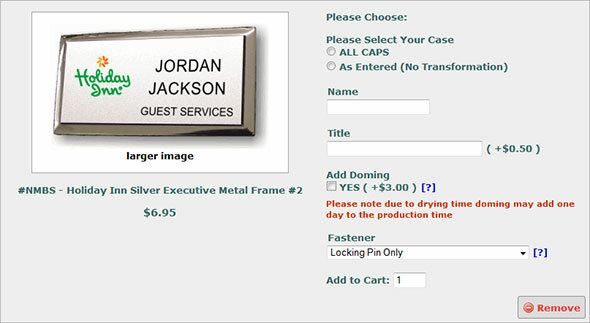 If you are ordering new name badges you can get them when ordering, just select the option during ordering. 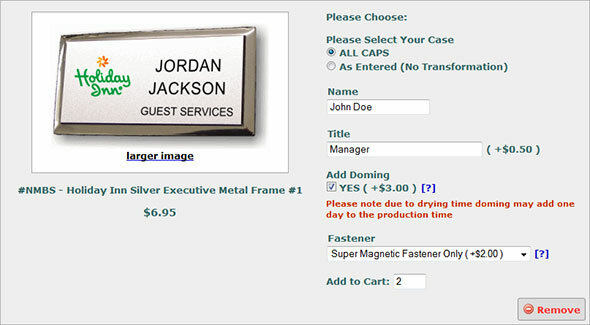 The Add Multiple Badges feature makes it easy to order multiple name badges with different Names, Titles, etc. 1) Enter the number of badge option boxes you want to add to the page, or leave the default value set. 2) Click the add button. You will see multiple badge option boxes have been added to the page. Enter Names, Titles, etc. for the badges, then click "Add to Cart". If you leave a badge completely blank; it will be added to the shopping cart as a blank badge. To remove a badge: click the "Remove" button in the bottom right corner of the badge option box.